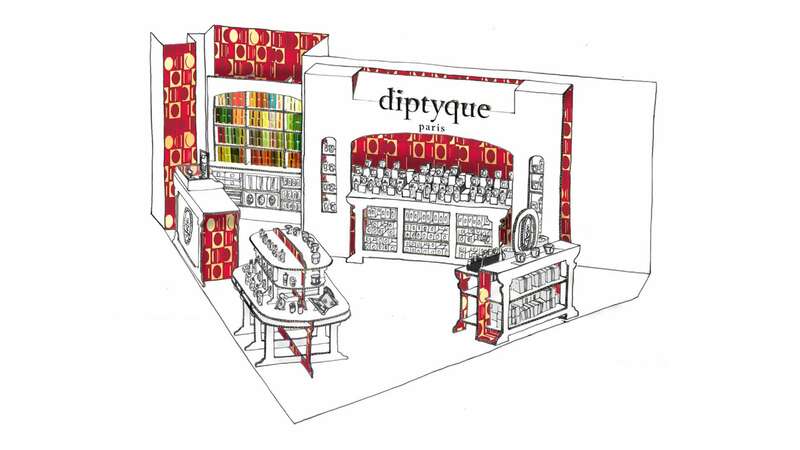 A diptyque pop up store entirely made of Re-board® cardboard. 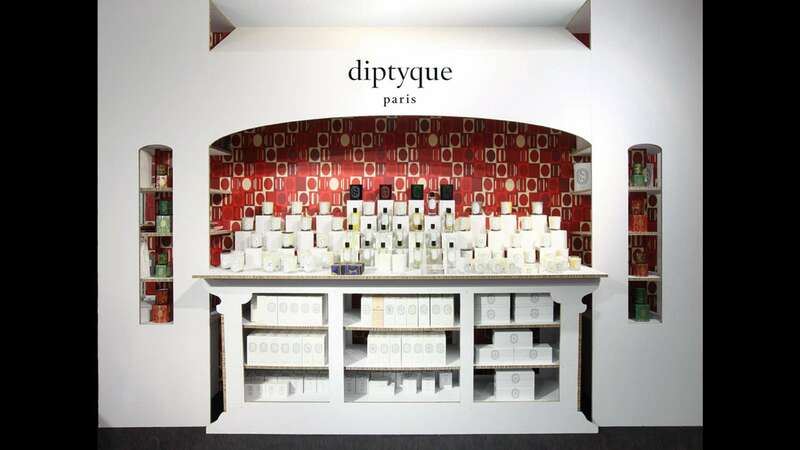 The idea was to create a reduced replica of the iconic Boulevard Saint-Germain-des-Prés diptyque boutique. It was set up in Galeries Lafayette Department store in Paris. 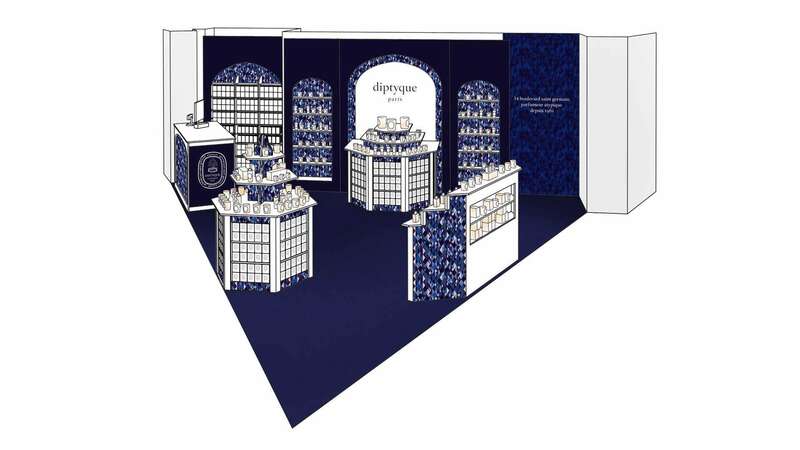 Second pop up store version presented for Galeries Lafayette Maison. 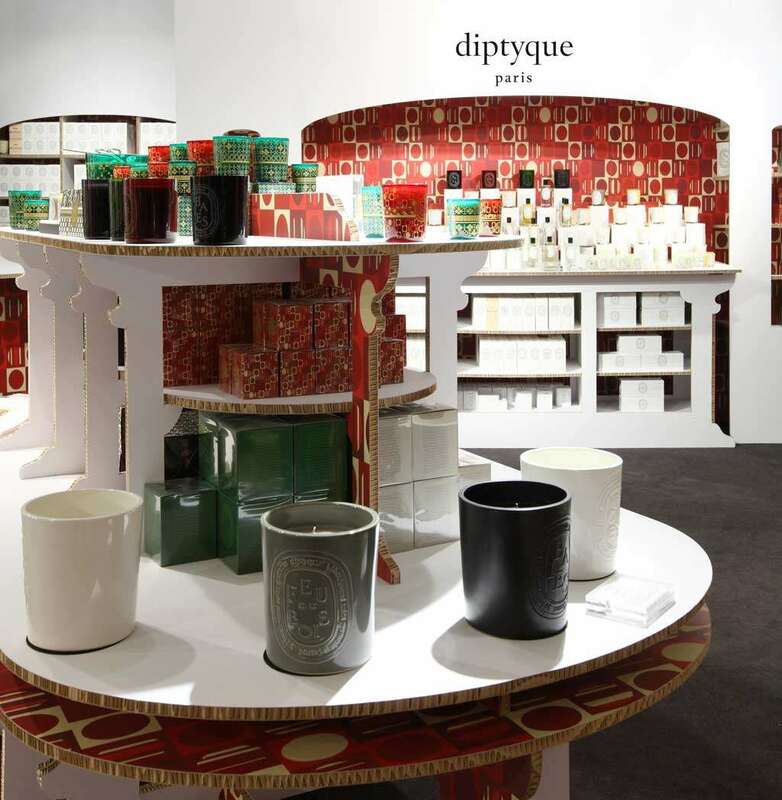 The graphic pattern included in the scenography is a tribute to the famous diptyque wallpaper "Choriambe" created 50 years ago.